If you're building a new home, or installing HVAC system that has never had that type of heating and cooling system, cost is likely going to be a major consideration. While a new HVAC system is one of the most expensive appliances you'll ever purchase, it's important to weigh both first-time and lifetime costs for each option to ensure you invest in the highest-quality system you can afford. In almost all cases, spending extra now for a system that is both energy-efficient, and has the features most important to your lifestyle, will pay off over time. When you buy a new home, there’s always a phase of discovering little nuance issues a few months later. Things you never would have even thought about during the purchase. Cold spots are something that doesn’t usually register as a problem until temperature fluctuations are felt firsthand. Carbon Monoxide, CO for short, is an odorless and colorless gas which can cause severe health issues, or even death, in humans and pets. It is found in fumes produced when cars or trucks, engines, generators, gas appliances and furnaces are running. If these fumes build up, or there is a leak, CO poisoning can occur in a matter of minutes. Once the cold weather hits, many a Richmond, VA homeowner is faced with an important question: Is it time to replace my heating system? If the answer to that question is, "yes," there are some serious decisions to be made. The average life of a residential builder-grade heat pump is 14 years. Commercial grade heat pumps tend to last a bit longer. 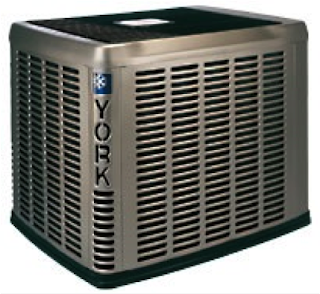 Less expensive, off-brand heat pumps do not last as long and tend to break down before the brand name models.